Kenneth Lee received the BSc in Computer Science with First Class Honours from the City University of Hong Kong in 2001. During the third year of BSc study, Kenneth Lee worked in Motorola Semiconductors Ltd HK as a placement student. By that time, two patent applications were submitted on "Huffman Decoder with Reduced Memory Size" and "Digital Filter for Sub-band Synthesis", under the supervision of Dr. Lawrence Law, who was his supervisor in Motorola. In the final year of his BSc study, Kenneth developed a DSP-based MP3 decoder with Motorola's Star*Core DSP. After getting the BSc degree, Kenneth studied in City University of Hong Kong as a PhD student, under the supervision of Prof. Isaac, Y. K. CHAN. Kenneth received his PhD degree in 2004. Kenneth K. C. Lee and Y. K. Chan, Image Compression Techniques And Devices Employing A Hybrid Compression Scheme, HK Patent No. 1077975A, 24 Feb 2006. Digital Filter for Sub-band Synthesis, US Patent No. 6,917,913, 12 Jul 2005. 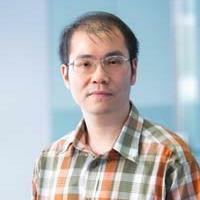 Kenneth K. C. Lee, Debin Zhao and Y. K. Chan, Image and Video Compression Techniques, HK Patent No. 03100305.7, 13 Jan 2003. Huffman Decoder with Reduced Memory Size, US Patent No. 6,411,226, 25 Jun 2002. During PhD study, technology transfer to two companies, Hutchison Global Communications (year 2002) and Wong's Technology (Holdings) Limited (year 2003), HK Patent No. -.